A platform architecture has been designed which covers the server and client side based requirements derived from the LinkedTV technical work and scenarios. The principle aspects for the platform deployment are an Administration Tool and a RESTful API. Our main design criteria are openness, scalability, multi-user, load balancing, multi-lingualism, exchange of components and flexible connection to existing media platforms. 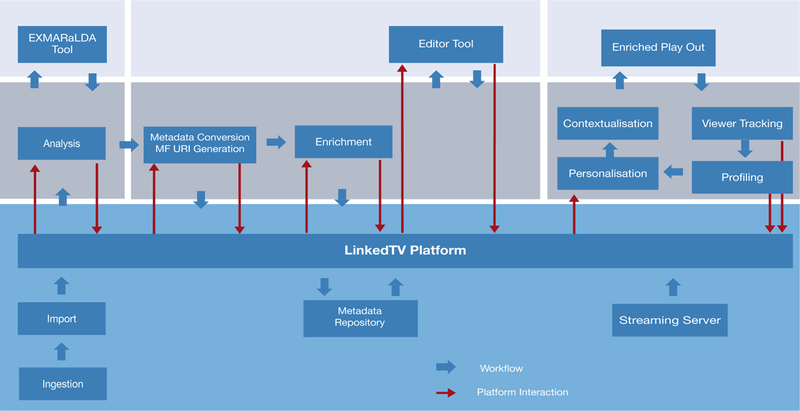 A LinkedTV document (D5.1) defines workflows, components, data structures and tools for the platform. The platform is set up on Linux with JBoss, the JBOSS-ESB and Open Link Virtuoso as relational database and Triple Store. 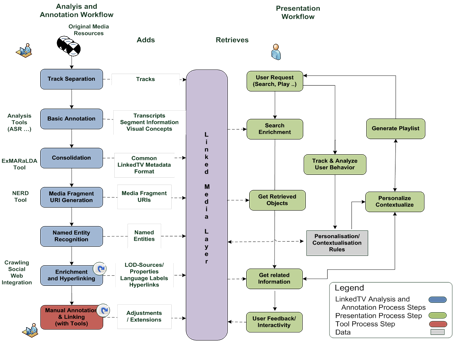 The overall workflow is illustrated below. 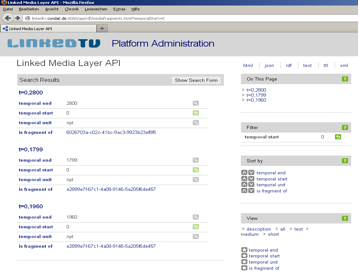 The tool allows to select videos for analysis and to show all materials available in the platform. 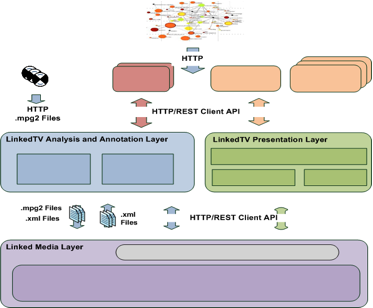 An API enables the initial retrieval of seed video sources and then corresponding media annotations, including Media Fragments, by the LinkedTV player. The use of HTTP and REST for communication supports flexible data exchange by distributed components over the Web.